China has proudly announced the world’s first facial recognition cash machines, which will only allow people to withdraw cash if their face matches the details stored on their card. The ATMs use a camera above the screen to capture images of the person stood before it, then compares facial feature to those stored in a series of photographs held in a database. The parameters are biological—presumably attributes like distance between eyes, nose and mouth—so it should work even if other facial features, such as hair, change. It was developed in a collaboration between Tsinghua University and tech company Tzekwan, according to Xinhua news agency. 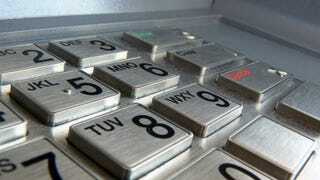 ATM will not allow users to withdraw cash unless facial features match with identification.